The 2018 high school football season is off and running. And the Friday Night Network will broadcast a game of a week every week during the regular season. The 2018 tentative schedule for 2018 is below. This schedule is tentative. All games marked with an * are pending telecast permission. All games are subject to change at FNN’s discretion. All regular season games are 100% FREE to watch on any of their multiple platforms. 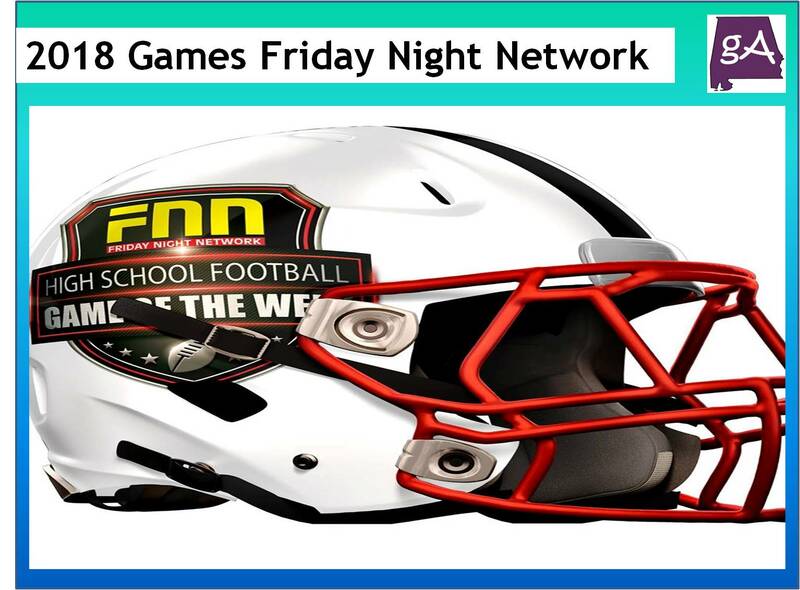 You can view the games on their website at fnnnetwork.com, on Facebook, YouTube, and Twitter. You can also watch on your TV with our Roku Channel. Games will be replayed in the Calhoun County area on CableOne Channel 69 on Monday evening starting at 5:30 PM. They will also be replayed on the FNN 24/7 Channel via their website. Games will be viewable “On Demand” at the FNN YouTube Channel beginning on Tuesday of each week.